If you’d like to secure a new or pre-owned Toyota for sale in Stuart, you’ve come to the right place. Here at Treasure Coast Toyota of Stuart’s Finance Department, we offer a wide variety of Toyota incentives and lease deals that set us apart from competitors, and we’re proud to be the premier auto loan and car lease resource for our neighbors! Whether you opt for a brand new, used, or certified pre-owned model, we’re a one-stop-shop for Toyota finance in Stuart. Check out our online car loan calculator for an instant car loan rate. Then, proceed to our online finance application.All types of credit can qualify for an auto loan. We will work with you to secure a no credit car loan if your situation demands it. 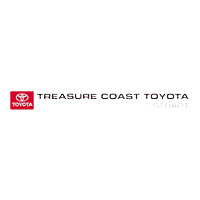 Treasure Coast Toyota of Stuart has strong relationships and is committed to finding you the perfect car loan company to suit your car finance needs. Low-interest car loans are available for customers with existing loans. We can help you refinance your car loan or adjust the term of the contract. You’re just a step away from approved Toyota finance in Stuart.